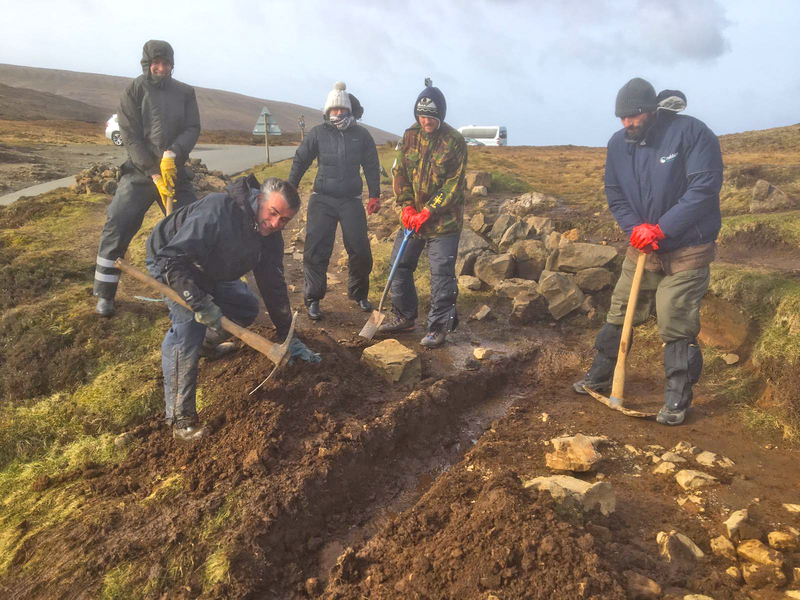 Tour bus drivers braved high winds and hail showers to help complete urgent path repairs at one of Skye’s busiest spots earlier this month. 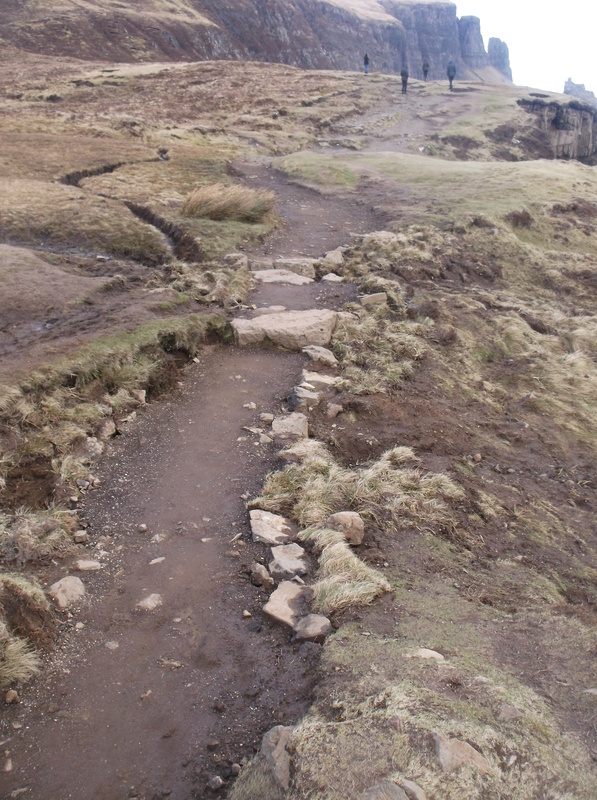 Staff from Rabbie’s Trail Burners spent two days working on badly-needed repairs to the Quiraing route, which attracts thousands of people each year. Despite very tough weather conditions at the exposed site, seven hardy Rabbie’s drivers and office workers dug out a damaged and uneven section of path, created a stone-lined ramp, installed a culvert pipe and landscaped the area. The workers faced frequent rain and hail showers but battled on to complete the job. 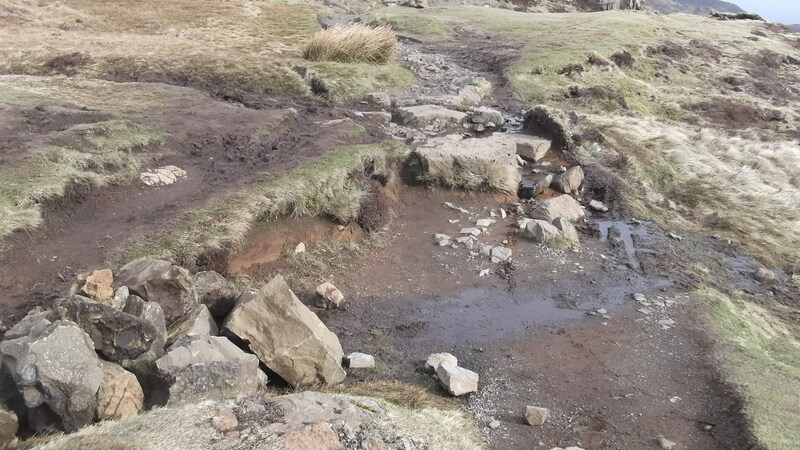 The path repairs (carried out over 14th and 15th March) came about through a new partnership between Rabbie’s, a popular tour company which runs trips to Skye all-year round, and the Staffin Community Trust. Rabbie’s fleet transports passengers to popular Staffin sites like the Old Man of Storr, Lealt Gorge, the Kilt Rock, An Corran and the Quiraing. 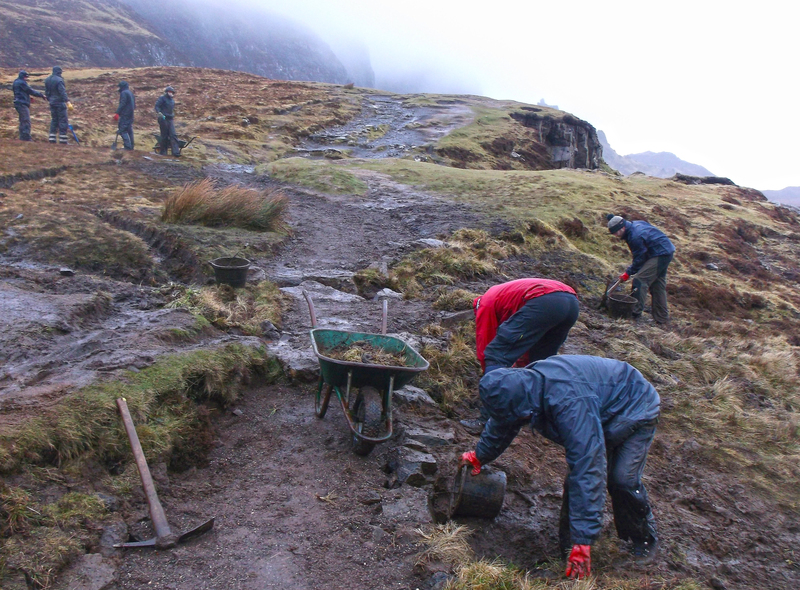 The workers volunteered to become directly involved in the maintenance plan for the Skye ‘Ecomuseum’ project. The Staffin Trust recently secured a major Heritage Lottery Fund grant for its Ecomuseum project, which includes the Quiraing path route. HLF awarded a £522,000 grant in September 2016. 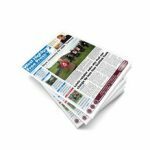 SCT has a maintenance and management plan and intends to provide volunteering opportunities for local people and other groups when the project officially starts next month. Highland Council’s Skye access officer Donald Kennedy, who is a key member of the Ecomuseum sub-group, had identified the Quiraing work as a priority. Rabbie’s staff carried out two days of work on the same section last October. 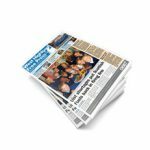 Rabbie’s awarded a £2,000 grant to SCT from its Carbon Tax fund, which will fund the purchase of tools and equipment for maintenance and general ecomuseum repairs.